Added on January 25, 2014 by John Fahy. One of the first things people think of when they think of China is the 'One-Child Policy'. Though nowadays the policy is more nuanced and there are situations where a couple can have more than one child, we in the west continue to scoff at what is sometimes portrayed as a breach of human rights and dignity. 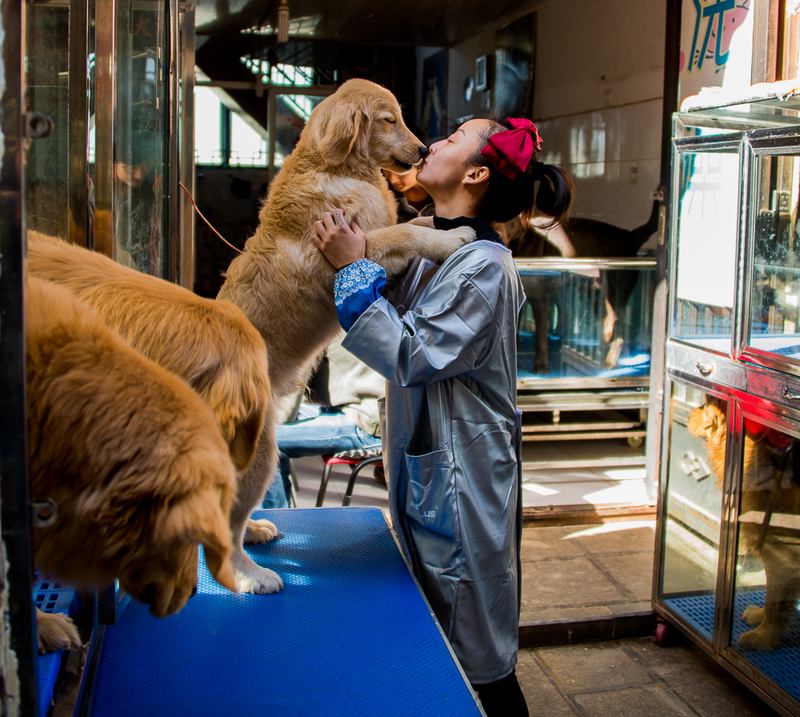 A significantly less controversial policy in both Shanghai and Beijing is the 'One-Dog Policy'. As you can imagine, this means that people can only own one dog. 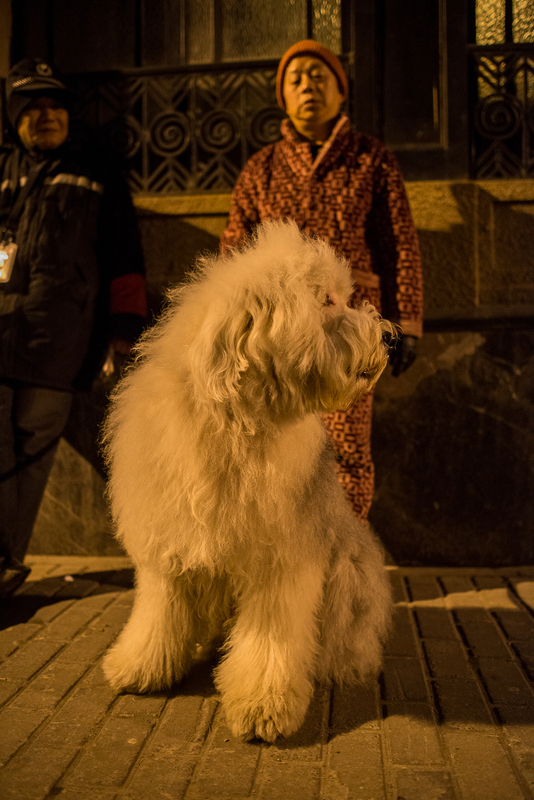 To make things a little more awkward for dog-owners in Beijing, dogs above 13.7 inches tall are not allowed in the city. Among other canines that break this law are 'large and vicious' dogs including, by their criteria, golden retrievers. Over the last few years, dog-owners have taken to walking their 'legally over-sized' dogs at night, hoping that they won't be spotted. The penalty for owning large dogs is more severe for the pet than the patron - they are taken away and 'disposed of'. Night-raids and scenes reminiscent of 101 Dalmations have become a common problem for those daring owners who stand up to the might of the People's Republic, with an act of rebellion so cute, that it just might topple communism....doubtful though. This post is intended as nothing more than an ode to dogs for no other reason other than the fact I like them. Maybe in time, however, the photos here will represent scenes of a bygone era where man and beast lived in harmony...but well, probably not. I met this guy in Shanghai. He was taking his locusts for a walk in the park. Apparently, it's really hard to clean a puppy's pen when they think everything is a game! 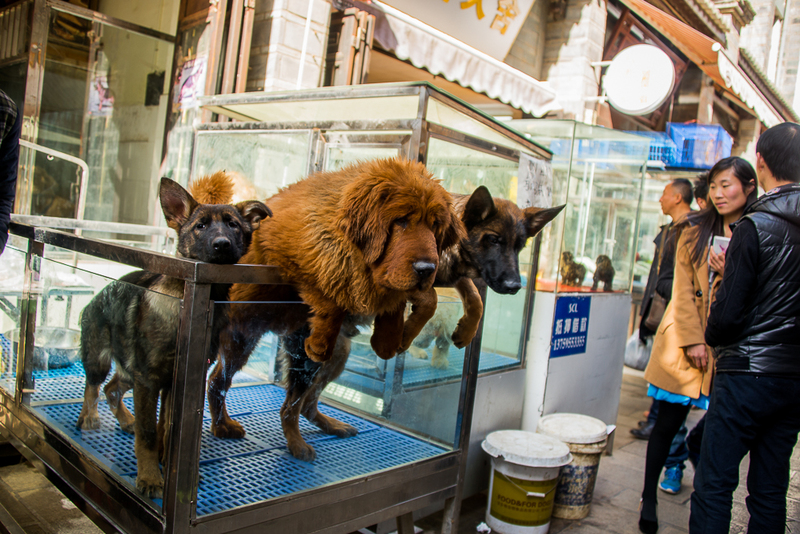 These are some of the 'large and vicious' dogs that the laws in Beijing prohibit. A night walk in Shanghai. This dog was about the same size as me. I came across this intimate moment in Kunming. On a street where hundreds of dogs were for sale, the workers who look after them clearly don't like saying goodbye once they're sold! After brushing this dog and preparing it to leave, these two hugged for at least 2 minutes.